In case you missed part one of this series, you can find it here. This post will make more sense in context. As with “Lullaby (Goodnight, My Angel),” I have not sought out other analysis from either Billy Joel or other sources. Apparently, a common theme in dreams (human dreams, at least) is trying to cross a bridge or a river. I have this dream a lot; sometimes I can cross the bridge, other times my car blows off into the river (one of my worst fears and the reason I dread crossing the Mackinac bridge every year). On the occasions I’ve made it across the dream-bridge, I’m usually then involved in some kind of incidental meeting with a dead relative. 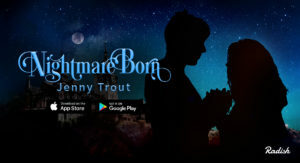 I was shocked when I relayed this dream to Bronwyn Green and she told me she’d had similar dreams, and that pretty much everyone has them, like the naked at school dream or those dreams where all your teeth fall out. Can we talk about that for a minute? Because I always have way more teeth in those dreams than normal people should have in their mouths. Anyway, when listening to Billy Joel’s “The River of Dreams” one day, I began to make some connections between my river dreams, the river dream he describes and, well, everyone’s river dreams. And as the song comes directly after “Lullaby (Goodnight My Angel),” a song I previously analyzed to be a message about immortality and a connection between the world of the living and the dead, I began to think of “The River of Dreams” as a universal interpretation of life, death, and the collective human consciousness. Here we have a poetic description of a dream, a journey from “faith,” a belief so strong as to become reality to the faithful; here I’m interpreting it to mean knowledge of the waking world, and trust in what our conscious mind shows us. Moving from the conscious to the subconscious, the traveler begins a journey for knowledge of something that escapes upon waking. The source of the knowledge, however, is made unobtainable by an obstacle, i.e., the river. This is a reoccurring dream, and so familiar that the dreamer has begun to consciously see a pattern. They are aware that something lies beyond the river, and that to learn that knowledge they have to cross over. In our waking thoughts, fear of our own mortality might prevent us from speculating on the nature of our souls, but in the subconscious world of our dreams, we are free to meditate upon it. The sense that something has been taken from the dreamer, something that they should be able to access, but can’t, is perhaps because of the manipulation our cultural beliefs have in forming our thoughts. Christian theology points to baptism of fire to refer to the trials and tests faced by Christ and his disciples. So, baptised by the tests of life, the dreamer once again tries to cross the river to gain entrance to the land beyond. The “desert of truth” refers to absence of divine spiritual truth in our conscious lives. The final verse leaves us in ambiguity; is the “promised land” a conscious state that exists only in dreams, a world we access upon death (our permanent sleep)? If so, that means that the life of each soul is entwined in the “river of dreams,” that forms one collective human experience in some kind of universal subconscious. From this song, I’ve formed the Joelist belief in an afterlife built around the familiar locations in recurring dreams. When we die, we cross the river of dreams, and enter into communion with the thoughts and minds of others. Until then, our subconscious self still tries to unite us with that collective consciousness, even though we can’t cross the river yet. The next part of the Joelist Book of The Dead will be “2000 Years,” a song that details the evil and the divine in human nature, and the eventuality of fate.